Deputy Chief LeRonne Armstrong joined the Oakland Police Department in 1999, after spending four years with the Alameda County Probation Department. DC Armstrong commands BFO Two (East Oakland), which comprises: Neighborhood Services Section - BFO 2 (Beats 23 - 35), Area 4, Area 5, Support Operations Division. DC Armstrong has had several assignments during his career, starting in Patrol as an officer and later as a supervisor. He has worked in the Problem Solving Officer Unit and in the Criminal Investigation Division; supervised the Gang Intelligence Task Force, served as Watch Commander, and Commander of the Youth and School Safety Section. He is also a POST-certified instructor, currently teaching agency-wide classes in Procedural Justice and Police Legitimacy. DC Armstrong is one of the original officers assigned to work on the Ceasefire Strategy in 2006, and he continues to work on that initiative. 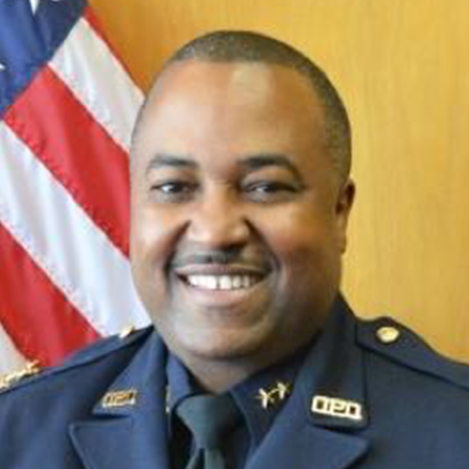 An Oakland native, DC Armstrong has been the subject of multiple news articles and is currently President of the Oakland Black Officers Association. He is a graduate of California State University, Sacramento, with a Bachelor of Science degree in Criminal Justice, and a graduate of the Modesto POST Leadership School.